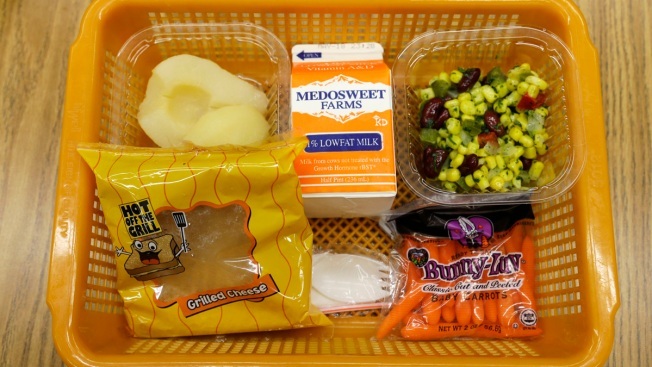 A school lunch featuring a grilled cheese sandwich on whole grain bread is served with a southwestern-style corn salad, fresh carrots and either canned pears or apple sauce Monday, May 5, 2014, at Mirror Lake Elementary School in Federal Way, Wash., south of Seattle. A Prince George's County program is trying to ensure that children don't suffer from hunger this summer. The Summer Food Service Program will provide lunch to children under the age of 18 at a dozen public schools and libraries. "During the school year, many of our students receive free and reduced-price meals, and we don't want these students to be at risk of hunger during the summer months," said Dr. Kevin M. Maxwell, chief executive officer for Prince George's County Public Schools. The meals will be served Mondays through Fridays.